A dirty fireplace can cause chimney fires or contribute to air pollution. One of the Georgetown Chimney Sweeps will inspect and diagnose your chimney, fireplace and flue and recommend what it needs in order to burn cleanly and safely. Most fireplace inserts and wood stoves must be removed from the fireplace in order to clean the system properly. Sweeps must re-install these systems once cleaning is completed so a higher charge is applied to these cleanings. Fireplaces and Chimneys that have not been regularly serviced may have excessive build up or may have liquified creosote that require extra service attention will be charged and additonal fee. Your sweep will inform you during the inspection if additonal service charges are required. Custom caps sizes start at $400 and up. Custom includes copper, special order sizes. Animal removal fees range from $125 and up depending on the type of animal, number of animals and the required effort to remove the unwanted guests. In some purchase of a cap may be required to keep the unwanted guest from returning. Cap prices are listed above. Smoke problems occur for a variety of reasons. In some cases the fireplace has a poor draw, in other situations smoke travels to other parts of the house through gaps in the liner. In other homes wind blows down the flue. We will diagnose and fix the problem. Smoke problem diagnosis fee start at $125 and an estimate of work required to remidy the problems will be provided. Dryer vents are rarely thought about by home owners, but yet the need yearly cleaning. Accumulated lint in the dryer exhaust can dramatically increase drying time, causing wasted engery and can potenitally pose a fire hazard. Dryer exhaust vent cleaning may help to reduce the drying time for your clothes. 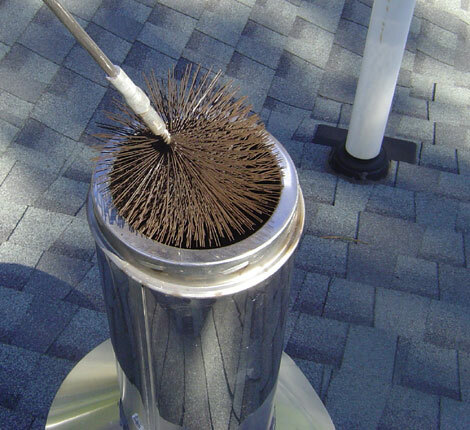 The equipment used by Georgetown Chimney Sweep removes the build-up of lint and other debris from the dryer exhaust. Fees start at $135 for first floor vents and start at $155 for second floor. 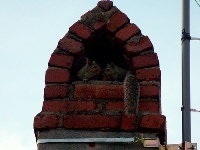 Chimneys brick and crown need periodic waterproofing maintainence to prevent water damage. Georgetown Chimney Sweep uses exclusively ChimneySaver water proofing products which come with a 10year warranty. Click on the product brochure below. 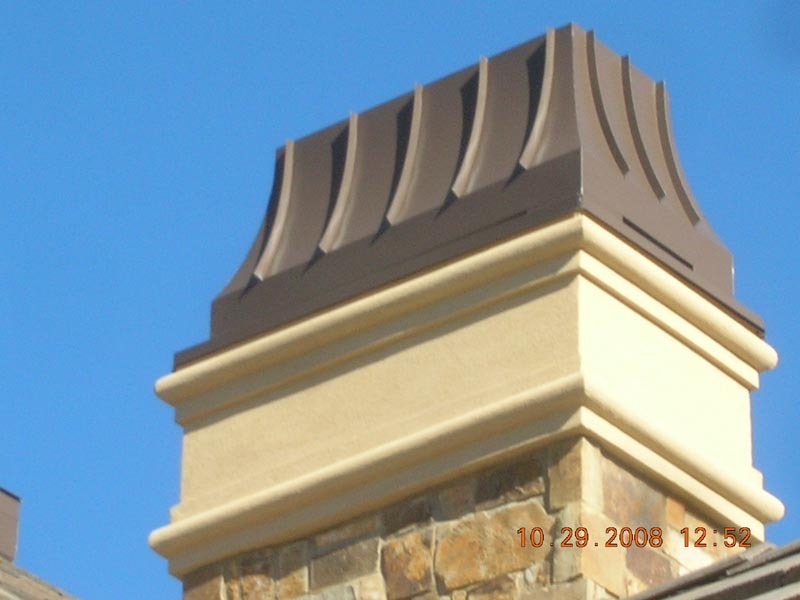 Chimney crowns can crack and allow water to seep into the top, freeze and break up the top. Application of CrownSeal can be applied to seal up the crown of the chimney and prevent expensive recrown work or even worse water damage. 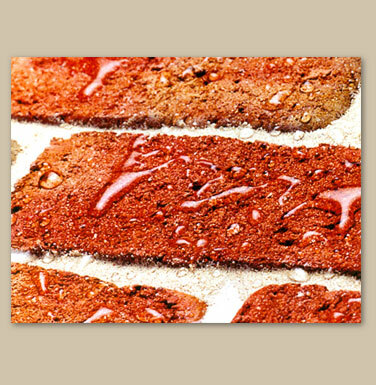 Georgetown Chimney Sweep uses exclusively ChimneySaver CrownCoat bushable sealer products which come with a 15year warranty. Click on the product brochure below. CrownCoat fees start at $95 plus $12/ft of coverage. Whatever service you may need, Georgetown Chimney Sweep will fully appraise the situation and give you a complete overiew of the services required and for larger projects and installations, a detailed written estimate will be provided. Service call fee start at $75. If a more indepth inspection is required for the estimate, Inspection Level 2 or 3 fee charge will be assessed. If work is completed by Georgetown Chimney Sweep, you will be given credit for the the $75 Service call fee.